Being of the curvy *cough, plus size, cough* persuasion in a country where the average size is 2, I find clothes shopping to be extremely challenging. I can never fit into the local brands (at one of the shops I went to, size 8 was considered xl), so I’m limited to UK brands like Dorothy Perkins, Monsoon, and Marks & Spencer. I also don’t have a lot of time to try on clothes in fitting rooms because I only ever go out on weekends so the kids are with me all the time. It’s never fun, I tell ya. I don’t remember how I discovered Violeta by Mango, but I am so glad I did. Their designs are chic, sophisticated, and so flattering! I did a couple of test orders first to see if the sizing is the same, and I had no complaints. I love that the clothes are shipped from Barcelona, in hangers, wrapped individually in plastic, and then placed inside a huge box. And you will not get any complaints from me about the prices, because it’s still cheaper than buying from the stores I mentioned above. The lookbook images are a joy to see. They make plus size women look “elle est bien dans sa peau” — comfortable in their own skin. Naturally, when they announced a sale a few weeks ago, I bought as much as I could. My purchases are pretty boring, mind you. I tend to go for classic, minimalist pieces for myself. I dream about wearing tulle skirts or huge pouffy ball gowns, or floral dresses and lace blouses, but I actually have a very pared down look in real life. Wanna see my purchases? Read on. This is one of my favourite dresses now. It’s comfortable, classic, elegant. (I don’t know how they even considered that model to be plus size, but whatever.) The fabric has a bit of structure, so it doesn’t cling. I also got a few casual pieces for running errands in. And yes, that’s my very first denim jacket! Only because it was on sale. I would never have dared, otherwise. I love that skirt! The pockets are roomy and can fit my iPhone 6 comfortably. I loved this one so much, I bought it in black and white. There are hidden side pockets, which is really great! And you can dress it up or down. Love the clean lines, and the fabric breathes really nicely. 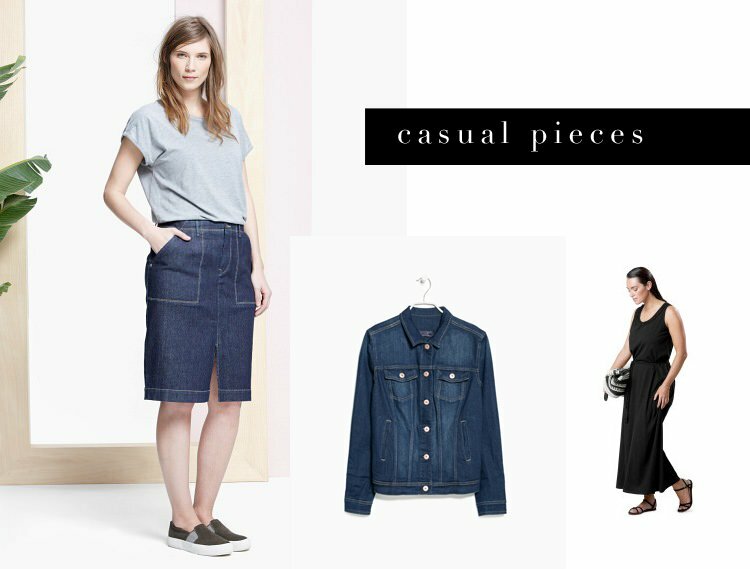 Pairs really well with ballet flats and sandals. 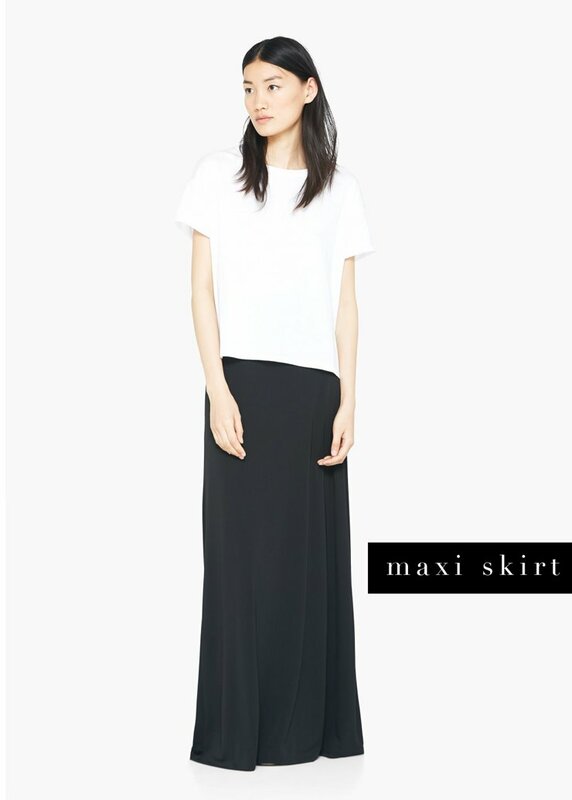 I had to get this maxi skirt too. It’s really comfortable and I just know I can wear it for years. Now that I know they carry my size, I think I’ll be shopping more often at Violeta. Mind you, not all their clothes fit me well; there were a few misses, but my mom was very happy to take them, so I didn’t have to return the items. This site really solved my shopping problems, and I’m so happy! 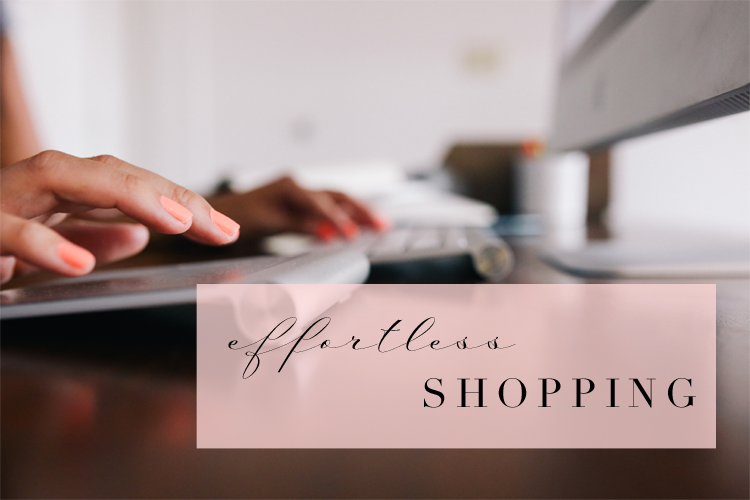 Finally, effortless clothes shopping! Please do not expect me to model the clothes. Take my word for it, you wouldn’t want me to go down that path. hahahahaha! Do you have any favourite online shopping sites? Do share them in the comments! Oops! I was just going to ask you to model them. Haha! Just kidding! I love shopping at Zalora PH. And the brand that I always browse or buy during sale is Mango. I love the basic pieces and the comfy fabric. I’m glad their sizing runs a size bigger, or else I won’t fit. Heehee!